Next time you go to your local farmer’s market for grocery shopping, think of Marjorie Williams and learn all the tips and tricks about a successful shopping spree. 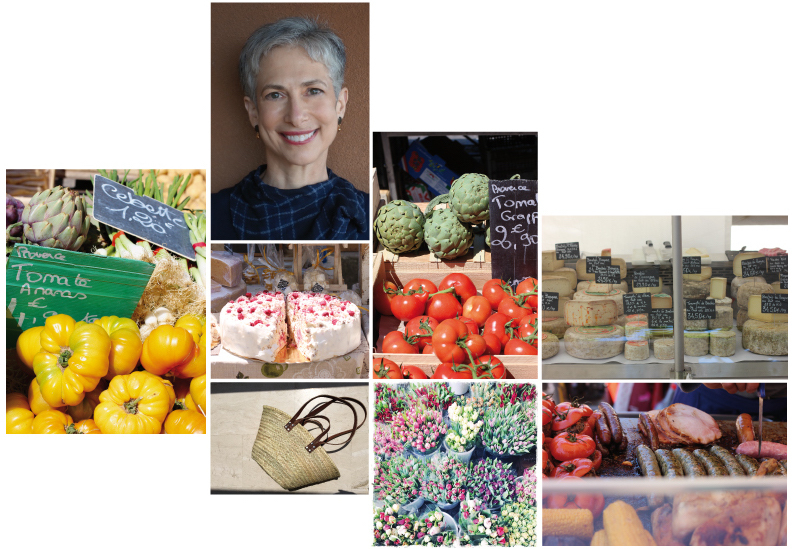 Her books about markets in Provence and Paris give you an inside look and next time you will be visiting La Provence you will know exactly where to go and what to bring home. IRMA: Which bag is best for transporting food while shopping at the market? Marjorie R. Williams: It’s always a good idea to bring a large sturdy bag to a market. When I lived in Paris, I bought un panier—a market basket—which I took with me to all the markets (food, antiques, etc.) throughout the city. When I spend an extended time in Provence or elsewhere, I do the same. Baskets are sold at many French markets, especially in Provence. They’re not only practical but also a good souvenir. If I’m not staying in a place long enough to justify purchasing a basket, I travel with a tote bag that folds into my suitcase and serves me well at markets. IRMA: What to shop when—can you give us a short seasonal guide? Marjorie R. Williams: There’s a long list of locally grown, seasonal items in Provence. I’ll narrow it down to a few of my favorites. In spring, strawberries and asparagus. In summer, cherries, apricots and melons. In fall, mushrooms and squash. In winter, black truffles. Goats’ milk cheeses are best in spring through fall. Wine is good all year! IRMA: Any tips on shopping veggies and fruits? Marjorie R. Williams: Engage with the vendors and ask questions. They’re very knowledgeable. If you’re looking for an item that you want ripe at a particular time—for example, a melon that you wish to eat the next morning—ask for the vendors’ assistance and their judgment is usually on target. IRMA: Which is the nicest market you have ever visited? Marjorie R. Williams: It’s impossible to pick only one. My new book, Markets of Provence, is organized by day of the week, and each chapter opens with in-depth descriptions of markets which I like best for that day. Which market I go to depends on my mood (some have a buzzing vibe, others are mellow) or what I’m looking for (if food or antiques, I’d go in different directions), or the scenery that I’d like to enjoy (mountains or lush green valleys), or simply which is closest. IRMA: Are there some secrets to get a discount on certain things during the day/season? Marjorie R. Williams: Vendors will sometimes lower the prices as closing time nears. So if you want the best deal, go late. But that’s not a guarantee, and the downside is that the selection will be more limited. 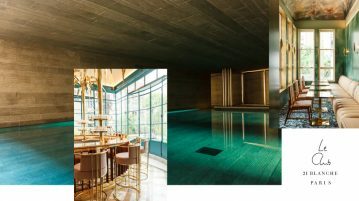 IRMA: What reflects the culture of the Provence best on these market? Marjorie R. Williams: In Provence, markets are at the heart of the village’s weekly social rhythm. Whether you visit culinary or non-culinary markets, you’re likely to see lots of friendly and familiar interactions among sellers and shoppers. Physically, too, the Provençal markets are well integrated into the community. They take place in a central location, with stalls spreading out organically along streets and plazas. IRMA: What will be love at first sight while walking across a market for the first time? Marjorie R. Williams: The colors and smells! Displays of vegetables, fruits, flowers, spices, soaps, textiles, and market baskets never fail to put me in a happy mood. IRMA: What do all markets have in common? Marjorie R. Williams: A good spirit to them and friendly interactions. Also, almost all have a pizza truck! Each market, though, is still unique, depending on the location, the vendors who sell there, their market goods, and local specialties. IRMA: What can I only find here and nowhere else? Marjorie R. Williams: Goat cheeses such as the delicious Banon cheese which is wrapped in chestnut leaves. Fruits confits (crystallized fruits) are a local specialty and Berlingot candies. Marjorie R. Williams: You won’t find frozen foods, nor many ATM machines, nor excess parking spots. IRMA: What should I definitely try before leaving? Marjorie R. Williams: Banon cheese. Local olives and olive oils. Rotisserie chicken with potatoes drenched in the meat’s juices. And the local wines. IRMA: What inspired you to write your books? 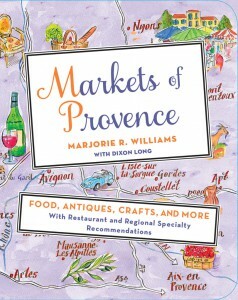 Marjorie R. Williams: Most markets in Provence are open only one morning a week. It’s easy to miss them. I love visiting markets wherever I go, and I didn’t want to miss out on them by not knowing which day they are. So I wrote the book that I desperately wanted: one that helps with itinerary planning and takes the guesswork out of where to be and when—in other words, to get the most pleasure out of being in Provence. 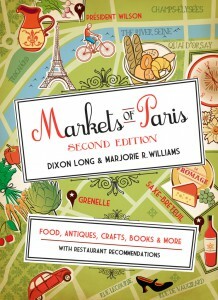 MARJORIE R. WILLIAMS is the author of Markets of Provence: Food, Antiques, Crafts, and More (St. Martin’s Press, 2016) and co-author of Markets of Paris (Little Bookroom, 2012). 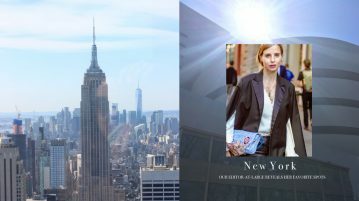 She is a featured expert in the New York Times’ travel program, Times Journeys. 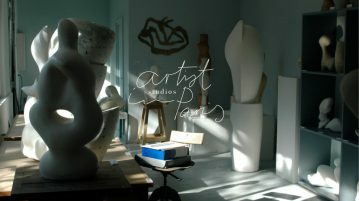 For more, see www.marjorierwilliams.com. Next Article What drives the world’s fastest woman?